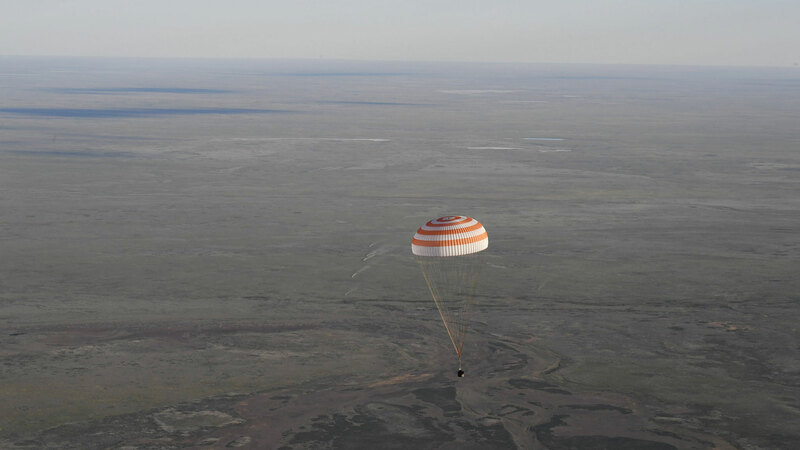 After spending 196 days in space, Expedition 51 crew members Oleg Novitskiy of Roscosmos and Thomas Pesquet of ESA (European Space Agency) landed their Soyuz MS-03 spacecraft in Kazakhstan at approximately 10:10 a.m. EDT. Russian recovery teams are helping the crew exit the Soyuz vehicle and adjust to gravity after their stay in space. The duo arrived at the International Space Station on Nov.19, 2016, along with NASA’s Peggy Whitson, who will remain on the space station and return home with NASA’s Jack Fischer and Roscosmos’ Fyodor Yurchikhin. That landing is targeted for September. At the time of undocking, Expedition 52 began aboard the station under Yurchikhin’s command. Along with Whitson and Fischer of NASA, the three-person crew will operate the station until the arrival of three new crew members. Randy Bresnik of NASA, Sergey Ryazanskiy of Roscosmos, and Italian astronaut Paolo Nespoli of ESA are scheduled to launch July 28 from Baikonur, Kazakhstan. 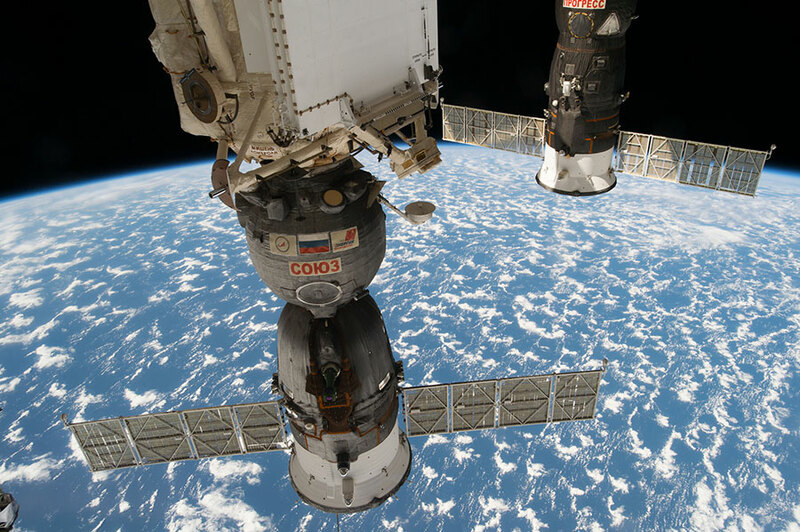 The Soyuz MS-03 spacecraft (foreground) is seen docked to the Rassvet module at the International Space Station. After spending 194 days aboard the International Space Station, Expedition 51 crew members Oleg Novitskiy of Roscosmos and Thomas Pesquet of ESA (European Space Agency) undocked from the station at 6:47 a.m. EDT to begin their voyage home. The undocking marked the official start of Expedition 52 aboard the space station. NASA Television will air live coverage of the Soyuz deorbit burn and landing beginning at 8:45 a.m. The duo is set to land in Kazakhstan at 10:10 a.m. (8:20 p.m. Kazakhstan time). Together, the Expedition 51 crew members pursued hundreds of experiments in biology, biotechnology, physical science and Earth science aboard humanity’s only orbiting laboratory. 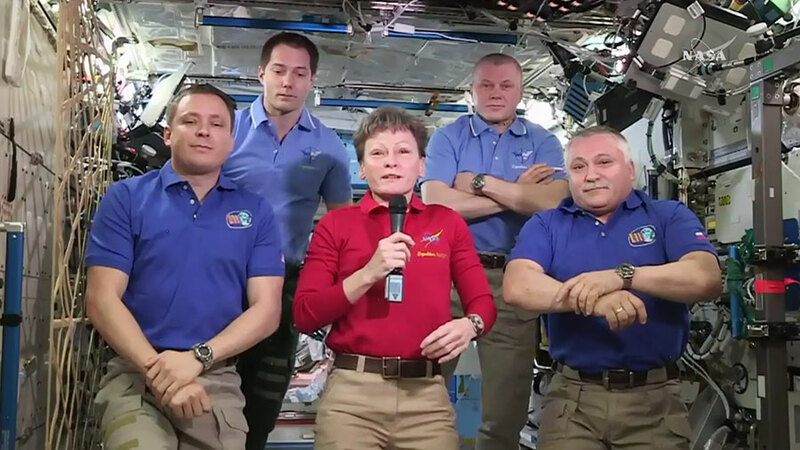 Their return will wrap up 196 days in space, since their launch on Nov. 17, 2016. 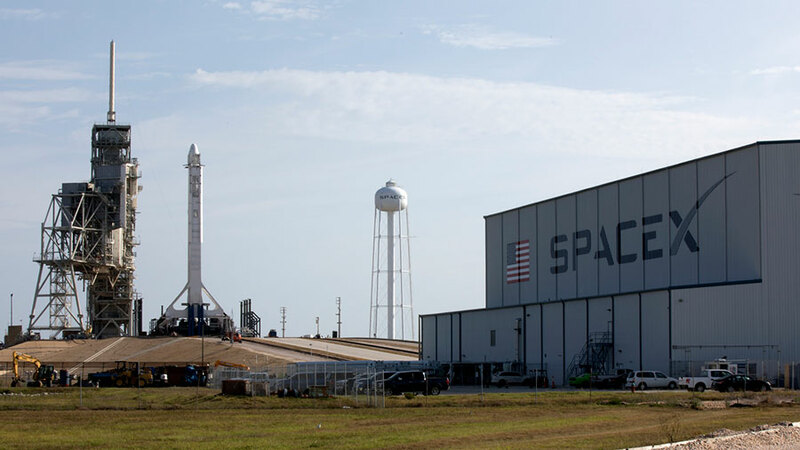 The Falcon 9 rocket that will launch the SpaceX Dragon cargo craft to space is resting at its launch pad today at the Kennedy Space Center in Florida. Dragon will lift off Thursday at 5:55 p.m. EDT on a three-day trip to the station’s Harmony module. Inside the commercial space freighter is nearly 6,000 pounds of crew supplies, station hardware and science experiments. 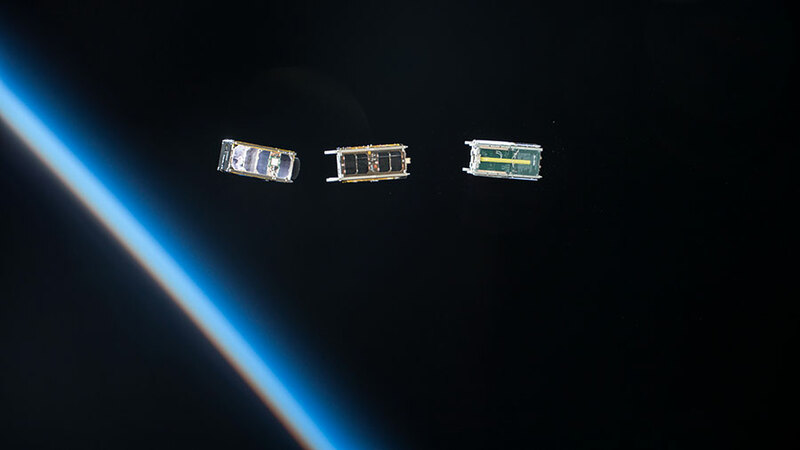 One of those experiments, Cardiac Stem Cells, will research how stem cells affect cardiac biology and tissue regeneration in space. 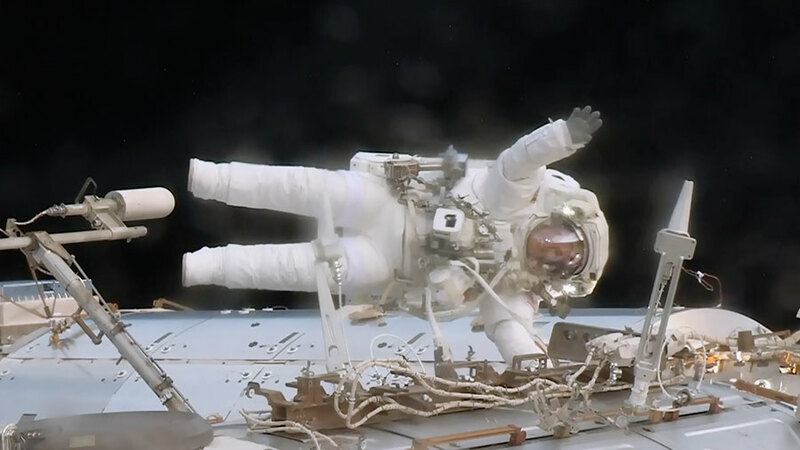 The station’s Microgravity Science Glovebox is being readied for the study which may provide insight into accelerated aging due to living in microgravity. 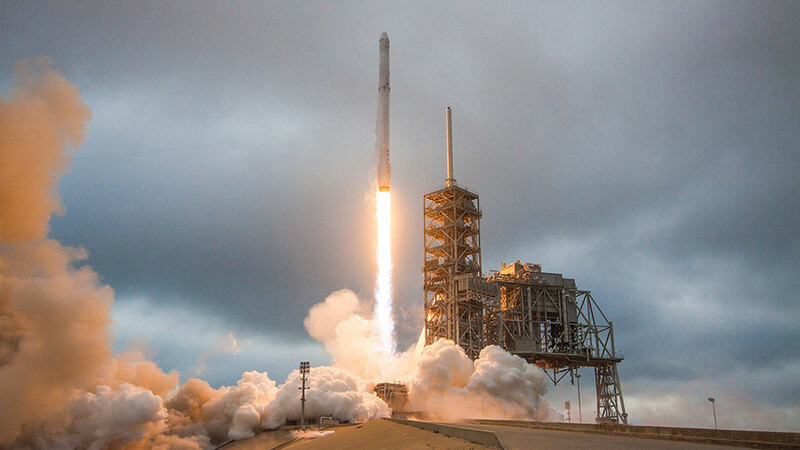 SpaceX is celebrating five years of commercial resupply missions to the space station. The SpaceX Dragon cargo craft is seen Feb. 23, 2017, moments before being captured with Canadarm2 robotic arm. The Expedition 51 crew trained today for the next SpaceX Dragon mission due early next month. The five crew members also explored how microgravity affects their bodies to help scientists keep astronauts healthy in space. 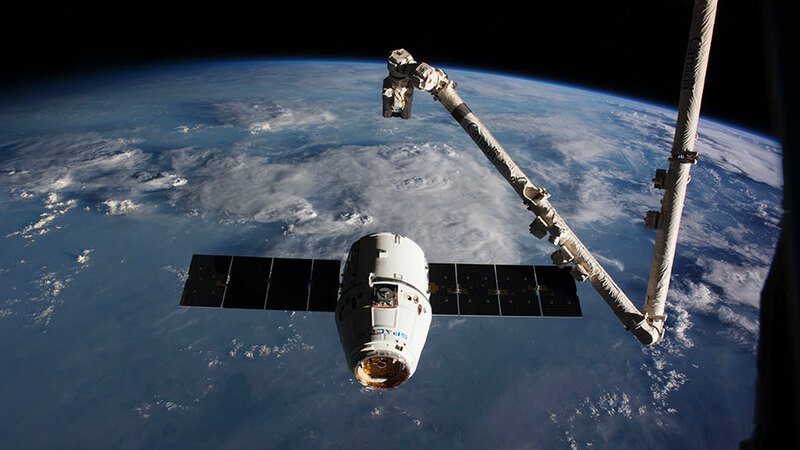 The next Dragon mission, SpaceX CRS-11, is scheduled to launch June 1 to deliver new space science gear to the International Space Station. The commercial cargo craft will arrive three days later to begin its stay attached to the Harmony module for cargo operations. NASA astronauts Peggy Whitson and Jack Fischer trained today to familiarize themselves with the robotic procedures during Dragon’s rendezvous and approach. Fischer, with Whitson’s assistance, will command the Canadarm2 robotic arm to grapple Dragon when it reaches a point 10 meters away from the station. Ground controllers will then take over and remotely install Dragon to Harmony with the Canadarm2. The crew began its day taking body size measurements studying how an astronaut’s shape changes during a spaceflight. Observations may result in new designs for space clothing and spacecraft work areas to improve mission effectiveness. Astronaut Peggy Whitson is pictured May 12, 2017, during the 200th spacewalk at the International Space Station. Two NASA astronauts switched their spacesuits to battery power this morning at 7:20 a.m., EDT aboard the International Space Station to begin a spacewalk planned to last about 2.5 hours. Expedition 51 Commander Peggy Whitson and Flight Engineer Jack Fischer will replace a critical computer relay box. 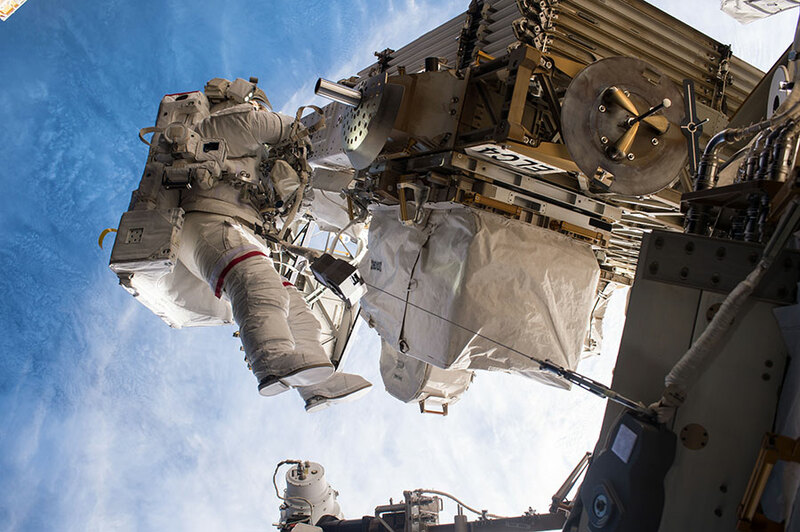 The relay box, known as a multiplexer-demultiplexer (MDM), is equipped with upgraded software installed in the truss March 30 during a spacewalk by Whitson and Expedition 50 commander Shane Kimbrough. Whitson prepared a spare data relay box on Sunday and tested components installed in the replacement. She reported the spare MDM was ready to be brought outside to replace the failed unit. While Whitson is replacing the MDM, Fischer will install a pair of antennas on the U.S. Destiny Laboratory module to enhance wireless communication capability for future spacewalks. 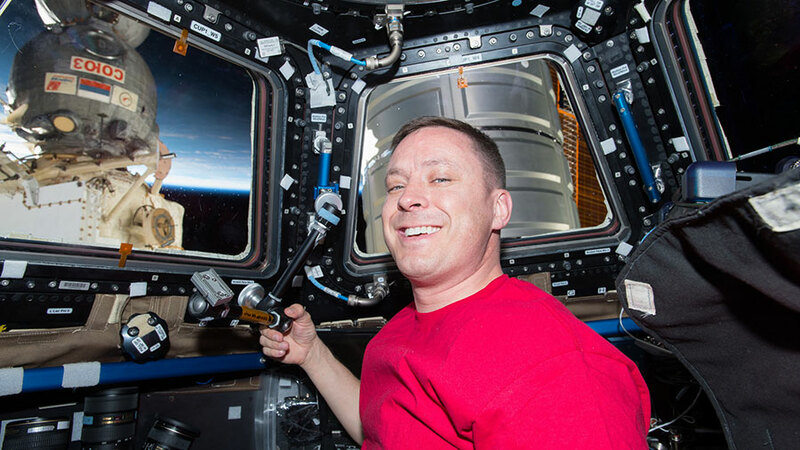 That task was deferred from Whitson and Fischer’s May 12 spacewalk.